Ahead of the spring roll out of the RCN’s new credentialing scheme, Lynne Pearce talks to advance nurse practitioners who took part in the pilot project. A new RCN scheme offering accreditation for advanced nurse practitioners has been successfully piloted by a small group of nurses. 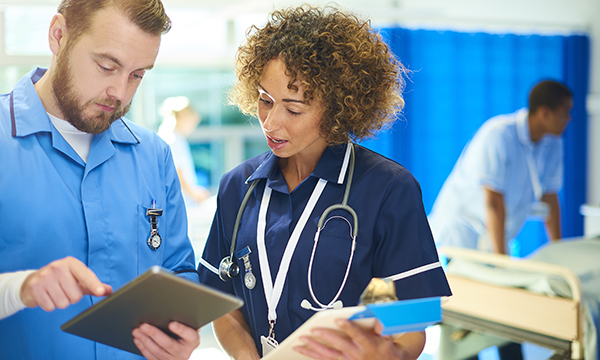 Credentialing, which is due to launch this spring, assesses applicants using criteria based on the four pillars of advanced nursing: clinical practice, education, leadership and research. It has been road-tested by a cohort of 25 nurses from a range of geographical areas, nursing disciplines and employer types, including paediatric emergency nurse consultant at Brighton and Sussex University Hospitals NHS Trust Jason Gray O’Connor. Having worked at an advanced level for more than a decade, Dr Gray O’Connor sees the value of credentialing for himself and his team. ‘It’s recognition for current and future employers. There will be a database of those who have it, which will be useful for recruitment. I manage a team of ANPs and I’ll be recommending it to them,’ he says. While he has achieved a Master’s degree and a PhD, Dr Gray O’Connor recognises there are specific challenges for those who don’t have these academic qualifications but are still carrying out advanced nursing practice. Senior clinical nurse manager for Cumbria Health On Call Davina Collins is another member of the trial group. ‘The RCN is looking for all advanced nurses to work at Master’s level. I don’t have that at the moment, so I’m an interesting case to look at,’ she says. While ANPs would have previously had an undergraduate degree, today the majority of newcomers will have graduated with a Master’s. ‘You have a feeling of am I being left behind?’ says Ms Collins, who manages out-of-hours care, alongside providing clinical care at treatment centres. In response to these difficulties, the RCN is providing transitional arrangements until December 2020, to help applicants demonstrate they meet the criteria of experiential learning. ‘It’s good to see that as long as we’re still accessing education appropriately and using the evidence base, we can still be recognised as working at an advanced level of practice,’ says Ms Collins. Accrediting advanced practice – who will really benefit?